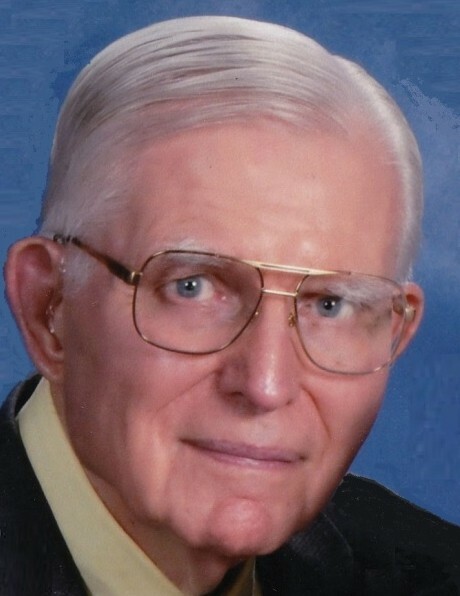 Ralph Walter Schultz, age 92, of West Liberty, Ohio passed away Sunday evening, April 7, 2019. He was born in Saginaw, Michigan August 3, 1926, to the late Edwin Carl and Frieda Anna (Moeller) Schultz. Ralph was also preceded in death by his first wife, Joan Lee (Ensign) Schultz; four siblings; children Michael Duff and Elizabeth Hoylman and two grandchildren, Chad Duff and Dani Marie Duff. A Veteran of World War II, Ralph served in the United States Army Air Corp. He attended the University of Michigan and graduated with a Bachelor of Science degree in commerce from Central Michigan University. Ralph owned and operated as a printer, Big Red Q Quickprint in Bellefontaine, Ohio for many years. Ralph loved to work with the youth in Word of Life where he was active for twenty years and was a former member of the Logan County Actors Guild. Ralph was also a member of Gideon’s International and the Grace Baptist Church in Urbana, Ohio. Ralph is survived by his wife, Gloria (Wooley) Duff Schultz of West Liberty whom he married November 5, 2010; children, Susan (Robert) Kleine of Massachusetts, Sally (James) Robison of Radnor, Stephen (Genie) Schultz of New York, Susan (Dave) Johns of Belle Center, Ohio, Mary (Darryl) Stumbo of Bellefontaine, Jim (Pam) Duff of West Liberty and a daughter-in-law, Lynn Duff of Bellefontaine; grandchildren, Kelsey and Emily Kleine, Hunter, Kaylah, and Taylor Schultz, Jennifer Zissler, Jeremy Johns, Jason Johns, Angel Payne, Tiffany Simpson, Nikki Chambers, Haley Castle, Drew Castle, Jessica Dolan, and Meghan Schuster; numerous great-grandchildren; a special nephew, Glenn Shearer of Arizona and an adopted daughter, Sue Stotler of DeGraff, Ohio. A celebration of Ralph’s life will be held Saturday, April 13, 2019 at 2 P.M. at the Grace Baptist Church in Urbana with Pastors Aaron Samples and Ken Dady officiating. Military honors will be provided by members of the Logan County Veteran's Honor Guard.